Welcome to the last day (Day #7) of Chocolate and Peru Theme Week. 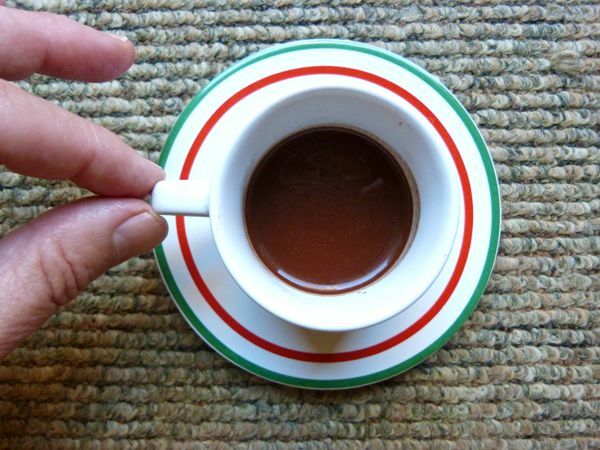 Chocolate a la Taza is a thick, rustic-rich style of Spanish drinking chocolate. 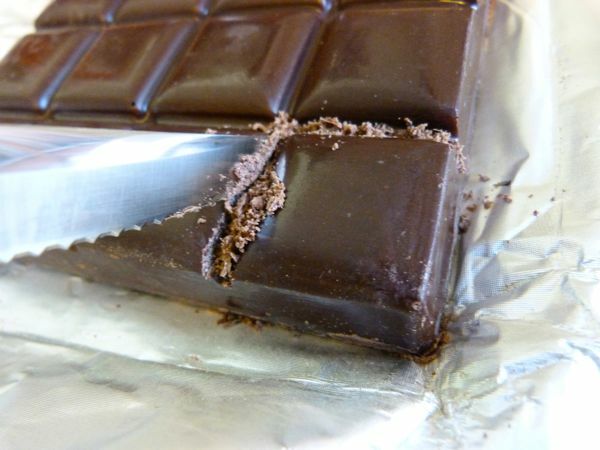 Bars can be eaten, grated onto other dishes, or melted into hot chocolate. And as the leaves start to turn scarlet and days get shorter this month, the thought of preparing a cup of rich cinnamon hot chocolate sounds more appealing. 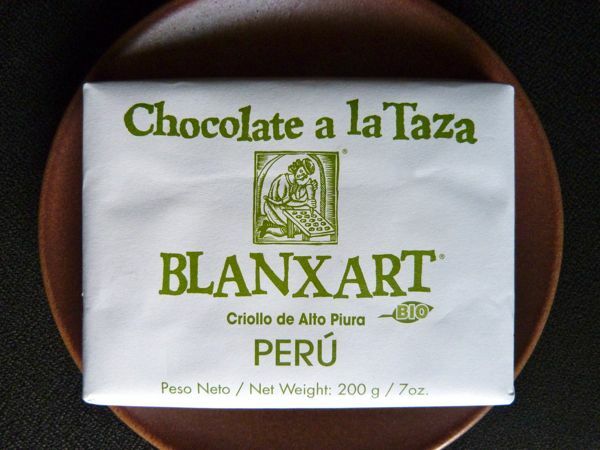 Today's Chocolate a la Taza with Criollo de Alto Piura (from Peru) hailed from Spain—specifically from Blanxart (Barcelona, Spain). 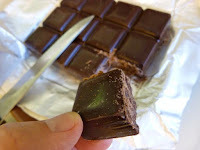 After unwrapping the hefty*, 12-square tablet, I used a sharp knife to very carefully saw through this 15 mm (almost 5/8 of an inch) bar. I'm not saying my method is the best way to obtain a single square or two. You'll end up with tiny piles of shavings as if a large termite had been helping you. However, it got the job done; and you can always use those shavings for something else. The square had a lovely chocolate brownie or chocolate cookie aroma and flavor, and the resulting hot chocolate was smooth and rich; I liked it a bit better than other similar a la taza style chocolates I've tried. 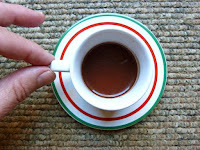 Because it was hot drinking chocolate and had quite a bit of sugar in it (you can almost feel the crystals melting in your mouth with rustic style chocolate), it was more difficult to tease out the more subtle Criollo flavors of this Peruvian cacao, but the overall pleasing results speaks for itself I think. *This generous block of chocolate will last me quite awhile as my drinking chocolate cups tend to be quite small. But no worries, I can always grate some and sprinkle atop some gluten-free scones or churros.